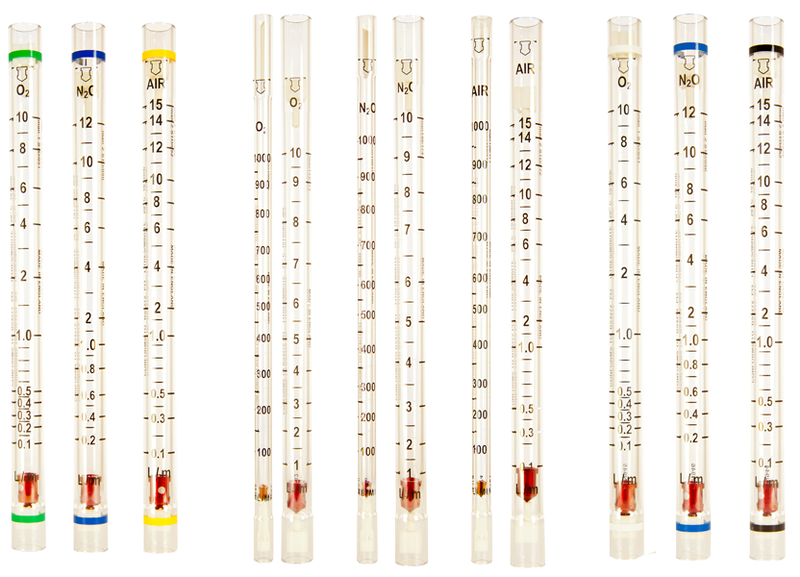 MPB produces an extensive range of human anaesthetic flowmeters suitable for most anaesthesia systems. These can be supplied from stock to ISO 5358 / BS 4272 specifications. All tubes manufactured by MPB have matching tube and float serial numbers and are electrically conductive to the above specification.